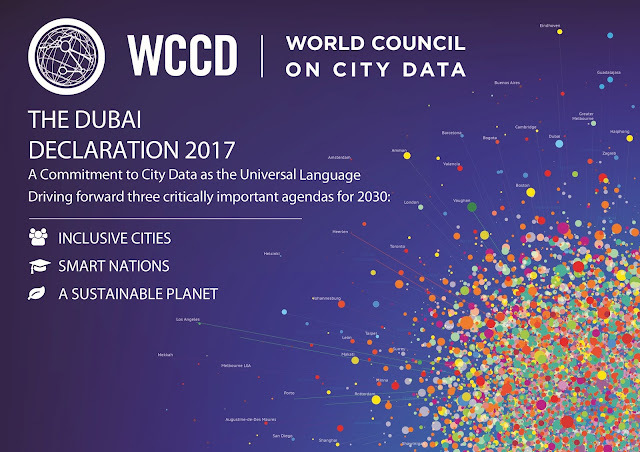 WE THE ASSEMBLED, have gathered in Dubai from March 7th to 9th, 2017, to consider the critical importance of city level data to support this shared mandate. 2. SMART NATIONS – where we recognize that it is smart cities that build smart nations and that high calibre city level data is the essential starting point for informed investments in city infrastructure, by national and other senior levels of government, so that cities can continue to be the greatest contributors to a national, smart agenda for economic development underpinned by effective service delivery and quality of life in cities. 3. A SUSTAINABLE PLANET – where we recognize the central place of cities in achieving sustainable development globally, with respect to the critically important resilience, climate and sustainable development goals established by the United Nations, and we hereby underline the critical significance of city level data to support the advancement of cities towards actionable targets in reaching these global goals. 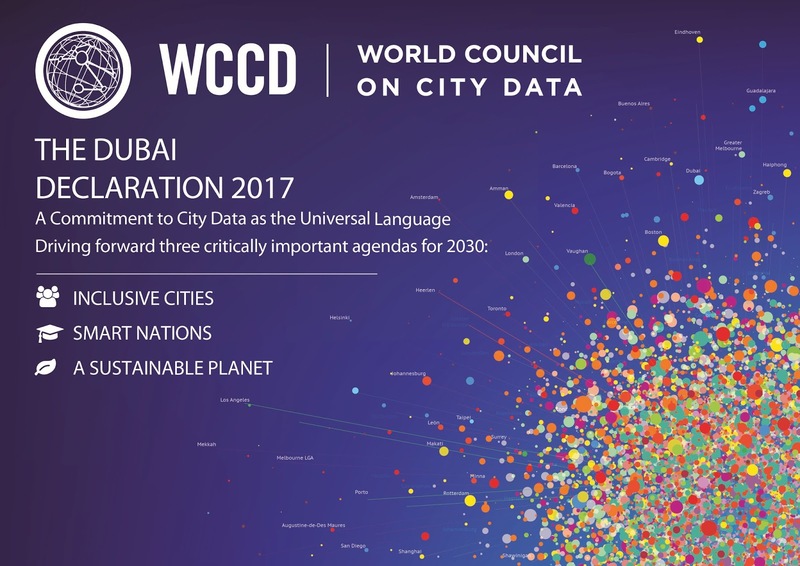 To achieve these three critically important agendas for 2030 – INCLUSIVE CITIES – SMART NATIONS – A SUSTAINABLE PLANET – we the assembled here in Dubai this March 2017, will continue to work, together and independently, as global ambassadors for the importance of standardized city data to drive progress towards these agendas, and continue to espouse standardized, city data as a catalytic agent for local, national and global change.